Last week I posted Part 1 with discussion on what a business analyst is. You may be more confused than before on what it is you are. I will quickly clarify a few points by addressing a couple of common questions. 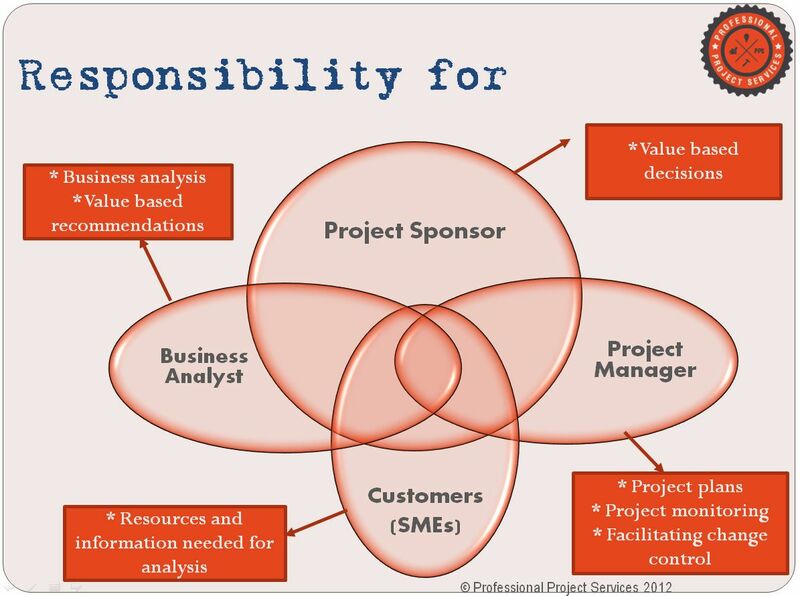 Question 1: I am a project manager that is responsible for business analysis on my project. Is this wrong? Answer: It depends on the project and the situation. If it is a small project with a small team and you are familiar with the business then it may make sense. The test is if you are effectively and efficiently juggling managing the project (planning, tracking, risks, stakeholder management, etc.) with the business analysis tasks (eliciting requirements, creating models and documentation, working with stakeholder to prioritize, translating for the technical team, etc.). However, if you are not able to manage both roles effectively within a normal workweek it means you are working two full-times jobs, rather than two half-time jobs. Getting a BA on your project will allow you to focus on one job and lead the project, project team, and influence stakeholders much more easily. Question 2: I have worn many hats on my projects. How do I know if I am a business analyst? Think, “Where is the manager?” These people need to be motivated to work faster. Watch the processes to see if I can identify a change in process or a tool that would speed up the service. You have an aptitude for project management. You prefer to lead others through proactive planning and motivation to allow a team to accomplish great things. You have an aptitude as a business analyst. You like to solve puzzles by taking the time to get a thorough understanding the core of the puzzle and analyze many solutions to know your recommendation is indeed the best. You are a doer. “Get ‘er done” is your motto. Time spent planning and analyzing is time that you could have been actively doing something to make the situation better. You recognize there may be a different or even better way, but getting something is place is the contribution that makes you feel valuable. You would be a great technical lead. 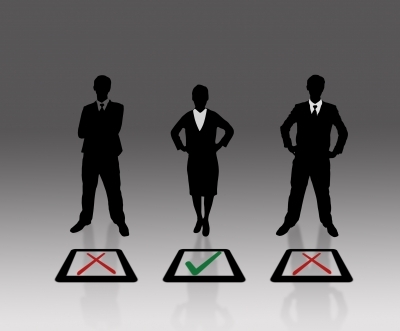 You may truly have a mix of aptitude and preference of these roles. That is okay. However, you need to define your role for each project and stick to it. This allows you to focus on your responsibility and give the autonomy to others on the team that they have earned and deserve. Continue to Part 3 for steps on making the shift from someone who does business analysis tasks to a business analysis professional. Are you up to date on your PDUs? Is your renewal deadline fast approaching? Here are some ideas, in ease to earn order, to help you get your PDUs in time for your certification renewal. Full detail for categories is available in the PMP Handbook. Refer to your copy for additional information to plan for and record your PDUs. You can earn up to 5 PDUs per year, 15 per certification cycle, for working full time as a project manager. Your 25% on your way to re-certification! *Subject to maximum of 45 credits combined in categories D, E, and F.
Anything you read, watch, or discuss related to project management may count towards your PDUs. Keep records of the time you participate in these activities along with any notes and record your PDUs. One PDU per hour of activity up to 30 PDUs in your certification cycle is allowed. There are hundreds of self-directed learning opportunities on the web. Check out these links to find out more. Sign up for their email lists to get notice of opportunities directly in your inbox. pduOTD.com – PDU of the Day provides PDU opportunities from all categories. Many are self-directed activities. Opportunities listed provide information includes category information, recording requirements, and anything else you need to know to make the most of the opportunity provided. PDUInsider.com – This is a portal to many PDU opportunities of various categories. Find an event calendar of opportunities or browse for on-demand activities that are available. Also includes a link to information on the PDUPodcast.com, an opportunity to earn PDUs through recorded podcasts. Have you volunteered with the PMI, maybe within your local chapter, or reviewing an upcoming standard on PMI.org? This also provides PDU credit. Find out more on volunteering at the PMI Volunteer page. Volunteering is not just a great way to get PDU credit, it also is a great way to expand your network and your skills while benefiting PMI and project managers everywhere. You earn 1 PDU per hour up to the 45 PDU limit in your certification cycle. *Subject to 45 credit limit for activities in categories D, E, and F.
Did you know that you get credit for all project management training, not just training provided by PMI Registered Education Providers? That’s right! That is what category B is all about. Participate in any formal training session and get credit for that time of the curriculum that is project management specific. So go ahead and sign up for the project management workshop you want. It does count! Do you write or train on project management? Well give yourself credit. PMI grants PDUs for sharing knowledge through writing, presenting, and training. You get PDU credit for preparation and presentation time hour for hour. This is perhaps the most fun and efficient way to earn PDUs. Not only do you get a large selections of topics to see presentations on, but you get to meet project managers from around the world and see what is happening in the world of vendors and tools. You might not even have to record your PDUs for PMI.org sponsored events as they will often do this for you from your registration and attended sessions. Make managing your PDUs easier by recording as you as you earn them. This will make the overall task easier and provide an easy to follow view of where you are in your certification cycle. Record your PDUs online on the Continuing Education Requirements System. Got too many? No problem…you can roll over up to 20 PDUs for your next cycle. * Categories D, E, and F are grouped as “Giving Back to the Profession.” PMI has placed a limit on the number of PDUs allowed in these categories to 45 per certification cycle. I taught my first week long PMP Exam prep class last week. I recall when I first learned of these boot-camp style classes and my original thought. “Great, you learn how to pass a test. Did you learn anything about project management?” I often comment on my study experience that I learned more in studying for the PMP then I did in a 9-month university certification course and prior experience. 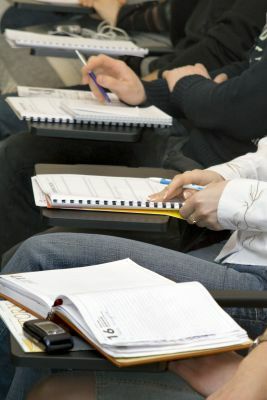 The challenge for this course became to incorporate true learning into the crash course – to motivate the students to see how the processes, inputs, tools and techniques, and outputs would make their projects more successful. I scheduled one-on-one briefings on the last day of class. One student, Marcus, talked of his father who had recently passed the PMP while in a long career in project management. We also had a few “seasoned” project managers in the class. Marcus questioned the value of the PMP for these folks with the reasoning that they had been successful project managers in their careers without the PMP. “Have they been successful with a reported project failure and challenged rate of 65%?” The bottom line is that even a successful project manager can learn new ways of doing things based on industry best practice and increase the chance of project success. There is no room for complacency in managing projects with millions of dollars at stake and an unstable economic market. Learning is the number one benefit of achieving the PMP. Marcus went on to asked about case studies to support the benefit of PMP. I suggested that PMI would have plenty of information published through pmi.org and offered up the two following books for further exploration. 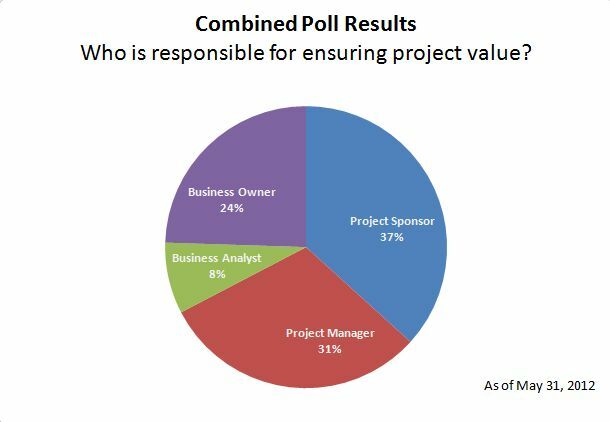 Poll Results: Who is responsible for ensuring project value? I recently cross-posted a poll in a couple of different locations. The majority of responses came from this LinkedIn poll. The biggest value of the poll is in the comments. They are worth a good read. I will be writing an article based on the information collected and my thoughts. Here are the raw results in the meantime. Many commented that they did not like having to select a single role, that it is the team’s responsibility to ensure project value. In a different context, the use of “business owner” was questioned. In the article I will be referring to this role as the Customer/SME. Here is a preview of what is to come in the article. Thank you for your participation and comments. Keep them coming!